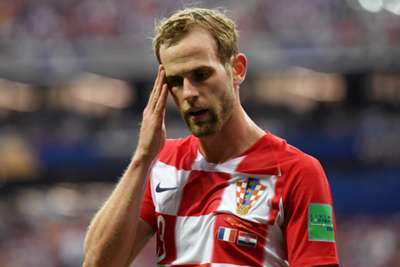 Ivan Strinic will take an indefinite break from football after routine medical testing found the AC Milan left-back to be suffering from a heart problem. The former Napoli man only signed on a free from Sampdoria last month but has now been ruled out pending further investigation of an "initial hypertrophy of the heart". Strinic, 31, is yet to make an appearance for the Rossoneri. He featured in all but one of Croatia's matches at the World Cup, including the final defeat to France. In a statement, the Serie A club said: "AC Milan announces that during the six-monthly routine checks, scheduled in Italy for professional athletes, it was found that Ivan Strinic suffers from an initial hypertrophy of the heart, which needs further investigations to be performed after a period of rest. "For this reason, the player will be temporarily suspended from competitive sport until the tests are completed." Strinic debuted for Croatia in 2010 and has gone on to win 49 caps.